Nashville Songwriters Hall of Fame member Wayne Carson passed away on the morning of July 20, following a long illness. Noted for such compositions as “The Letter,” “Always on My Mind” and “No Love at All,” Carson was also a recording artist and a song publisher. He died in hospice care at age 73. Born Wayne Carson Thompson in Denver, CO, he was the son of country performers Odie and Olivia Thompson. Their stage names were Shorty and Sue. After stints on the radio in Nebraska and Colorado, they moved to Springfield, Mo. to join the staff at KWTO. Shorty became a member of The Tall Timber Boys on The Ozark Jubilee radio and TV program in Springfield. Inspired by Merle Travis, Wayne began playing guitar at age 14. As a youngster, he performed on the offshoot show Junior Jubilee alongside Brenda Lee. He became an even bigger success with 1967’s “The Letter,” an international No. 1 hit for The Box Tops. The song was revived in 1970 by Joe Cocker, has been recorded by more than 20 others and can currently be heard on the soundtrack of the Minions movie. Carson also wrote The Box Tops hits “Neon Rainbow” (1968) and “Soul Deep” (1969). Other early successes in the pop field were “Do It Again, a Little Bit Slower” by Jon & Robin and The In Crowd (1967), “Nine Pound Steel” by Joe Simon (1967), “Cussin’ Cryin’ and Carryin’ On” by Ike & Tina Turner (1967) and “Keep On” by Bruce Channel (1968). In Nashville, Waylon Jennings had hits with Carson’s “Something’s Wrong in California” (1969) and “(Don’t Let the Sun Set on You in) Tulsa” (1971). Mel Tillis took the songwriter’s “Who’s Julie” into the country top-10 in 1969. “No Love at All” became another often-recorded Wayne Carson song. Lynn Anderson took it up the country charts in 1970, then B.J. Thomas made it an even bigger pop hit the following year. It has also been recorded by Glen Campbell, Willie Nelson, Dottie West and others. His co-written “Always on My Mind” began its journey to becoming a standard when Brenda Lee introduced it in 1972. Elvis Presley recorded it the following year. Then Willie Nelson’s version of the song became a smash hit in 1982, when it won Song of the Year honors from the Grammy Awards, the CMA, the NSAI and other organizations. It has since been recorded by dozens of others, including Johnny Cash, B.B. King, Anne Murray and Scotty McCreery. The Pet Shop Boys had a No. 1 hit in the U.K. with it in 1988. Wayne Carson co-wrote a string of honky-tonk country classics in the 1970s. They include Conway Twitty’s “I See the Want-To in Your Eyes” (1974), Johnny Paycheck’s “Slide Off Your Satin Sheets” (1977) and Moe Bandy’s “Barstool Mountain” (1979). Gary Stewart’s “Drinkin’ Thing’ (1974), “She’s Actin’ Single (I’m Drinkin’ Doubles)” (1975) and “Whiskey Trip” (1978) were all Carson songs. By this time, Wayne Carson was an established recording artist, himself. He made the country charts three times during the 1970s. During his career, he released records on the Decca, Monument, Elektra, Private Stock, EMH and MGM labels. He has also recorded for his own record company. His Life Lines LP was issued by Monument in 1972. In 1979, Ray Price introduced the songwriter’s ballad “That’s the Only Way to Say Good Morning.” In 1982, Conway Twitty scored a No. 1 hit with Carson’s “The Clown.” Others who recorded his songs in Nashville include Gene Watson, T.G. Sheppard, Randy Travis, Shelby Lynne, Michael Johnson, Sammi Smith, Alabama, Billie Jo Spears, Tony Joe White, Vern Gosdin and Wade Hayes. 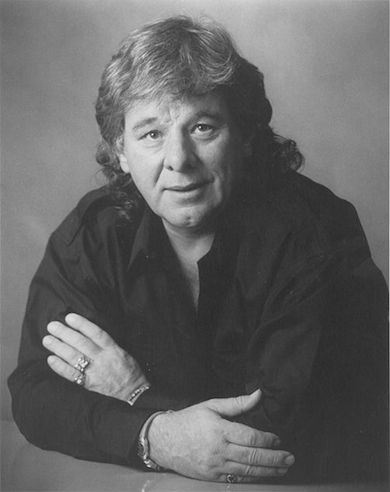 Wayne Carson was inducted into the Nashville Songwriters Hall of Fame in 1997. He went into semi-retirement, but occasionally continued to write songs. Dan Auerbach of the rock group The Black Keys recorded his “I Want Some More” on his 2009 solo album. The Country Music Hall of Fame saluted Wayne Carson by featuring him in its Poets and Prophets songwriter series in 2011. More than 75 million records have been sold by artists singing his songs. Wayne Carson is survived by his wife Wyndi Harp and son Christian Head. A celebration of life service was held at 10 a.m. on Tuesday, July 28, 2015 at The Pavilion at Harpeth Hills Funeral Home, 9090 Hwy 100, Nashville, (615) 646-9292. In lieu of flowers, donations may be made to Southern Cross Boston Terrier Rescue at www.southerncrossbtr.com.